A new label for a new wine? Yes and no… In fact this wine is made from the grapes that usually produced our classic Riesling Turckheim (part granite from young vines Brand and marl gravely soil just beneath it). In fact, we wanted to produce a wine that would be easy to understand for our customer eating out in restaurants. I guess everyone ordering a bottle of classic Riesling expect a nice dry wine that shows the potential of our area and which is food friendly. This is what we wanted to show in this wine behind a simple easy to understand wine label. 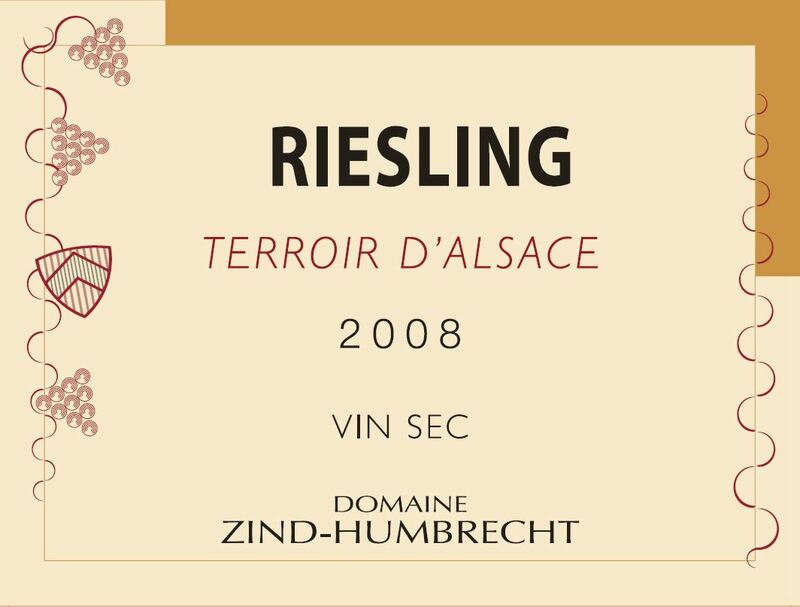 If you read these comments, you are certainly more than an amateur of Alsace wines, but many people do not order Alsace Riesling on a wine list because they don’t know what to expect. Here it is very clear. So, of course, this wine will ONLY be available in restaurant and in France to start with. 2/2010: the ripeness level, absence of botrytis, a steady fermentation all helped to produce this classic dry style Riesling. The granitic dominance shows fruity Riesling character. The palate has good balance between the crisp 2008 style and the ripeness, with excellent savoury acidity and a medium length. The finish is vivacious, but not aggressive, as the long lees contact helped to soften the acidity.